Summer is in full force here at ONE Mission Bay! Relish in those sweet summer rays on our 25,000 square foot resort-style amenity deck surrounding by lush, landscaped greenery and intimate outdoor dining. After taking a much-needed dip in our gorgeous pool, enjoy the poolside cabanas for full relaxation. When hunger strikes, take advantage of barbecues perfect for grilling. If billiards is more of your thing, walk on over to the Game Room and get your competition on! Replete with plush couches and oversized TVs, the Game Room is the perfect place to entertain and host get-togethers, with a nearby guest suite that can easily be reserved for overnight guests. 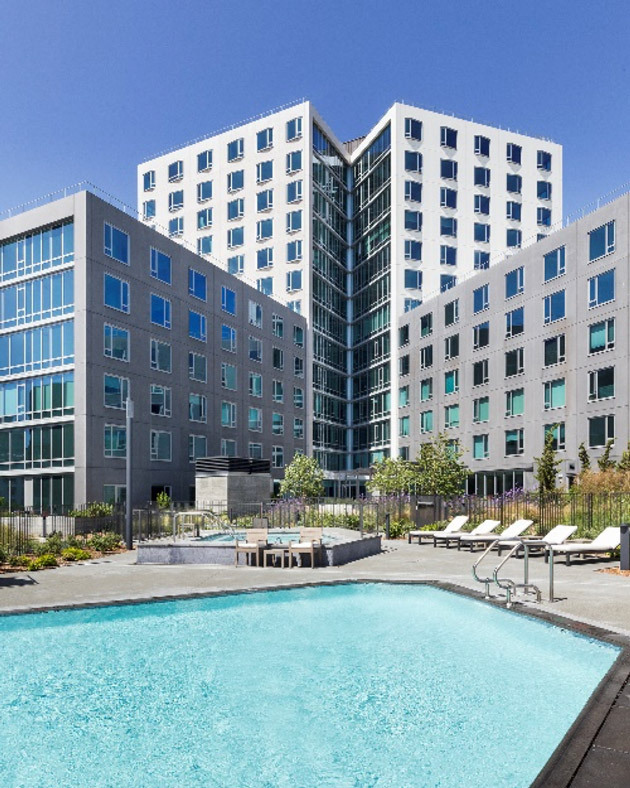 ONE Mission Bay always keeps residents in mind, offering the perfect place to make the most of the sunny summer weather. Be sure to contact our sales team today for a full tour of the property and all that it has to offer!